Home » The Magic Resume Calculator: Save 95% of your job hunting time! Since the biggest disqualifier (other than having a ‘black-sounding name’, not being an attractive woman, or being over 30 years old) for getting a job is not having one, I would say that, for people in that category, actively applying for jobs is plain useless. Google ‘active candidate’ and ‘passive candidate’ and see that these terms, along with ‘purple squirrel’ pretty much sum up how many recruiters think. So, yes, whether you are employed, self-employed, or unemployed, meeting people and talking shop is the way to go. Sending resumes into black holes simply supports HR department/ATS manufacturer full employment. Don’t support these people. Nick, What you wrote in your blog is very true and I am an example of it. I recently got a job after being unemployed over 6 months. I finally landed a job through someone I know. The job boards and posting resumes online on company websites gets you nowhere fast. It really comes down to knowing someone to get your next job. 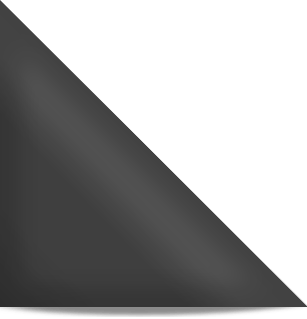 Not many companies want to hire an active candidate but they do want passive candidates. Many recruiters I have spoken with (many unprofessional and unethical) over these past 6 months tell me they have specific employer retained searches and they are for only passive candidates. Here I was an active qualified candidate and they didn’t even want to talk with me! In speaking with companies and going on alot of in person interviews, I have come to realize employers are looking for the purple unicorn. It is one specific thing that is impossible to find. They keep job searches open for over a year (sometimes 2 years!) expecting a “miracle” job candidate. If they happen to find the purple unicorn and make a job offer, it is way below market value or they take many many months to get back to the candidate after the candidate was interviewed 3-4 times in person. Then they want to know why there is a job shortage. Since you asked: I have indeed sent out unsolicited resumes, but it wasn’t really that I was hoping for the best. I ended up unemployed in the “Great Recession” of 2008, and discovered that there is one thing resume black holes are good for – they provide positive proof of job hunting, so I could keep unemployment benefits active while working my network. It’s a depressing use of the tool, but an effective one. Great news, my wife accepted a position with a major medical conglomerate. After being laid-off by the major defense contractor she was with she took a position in space/defense 175 miles away with people she used to work with. 4 month search. I finally got her to believe in your column and go outside her comfort zone. A HEADHUNTER(like you) who knew her, called her with 2 positions. Network!!! When I had to hire I only hired people referred to me and sent them to HR after I met them. For price of a walk along the Charles and lunch I made the company a great amount from my hires. Network!!! I think this is my favorite post from you yet. In my line of work (a career adviser) I can’t help but feel like I am a broken record. People are so hung up on what font to use and how many adjectives to put before each of their nouns and starting each line with an action verb that they forget why they are writing a resume in the first place. They also forget that a resume is only -one- way to promote yourself to an employer. After I make my spiel about finding a way to meet the employer you want, showing them that you have value, and what that value is, they go back to mass-mailing their tired, old resume and wonder why they can’t get a call-back. It’s insanity, I tell you! People have been brainwashed to follow a system that does not work. Based on my experience, I’ve had much better results submitting a resume in response to an advertised opening. I’ve only obtained one job in my entire career based on a referral, although to be honest I haven’t looked for that many jobs. I tend to stay with the same company and in the same position for a long time. I tend to keep to myself pretty much, so networking is difficult for me. For a number of years, my network consisted mostly of current and former co-workers, but I’m working on changing that by attending church regularly. 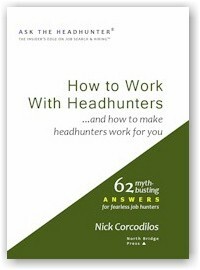 I’ve read about Nick’s suggested job search technique in other books and although it sounds good, and probably works for some positions, I would say for the vast majority of jobs it just isn’t an ideal way of looking for a job. Yes, every job in a way contributes to the bottom line of a business, but there are only so many ways you can do a lot of jobs so I think it would be very difficult to go talk to people and tell them how you could improve a particular position. Since I’m looking for accounting work, I’ll use jobs from that field as an example. There are only so many things you can do in accounts payable, accounts receivable, payroll etc. As far as I know, there is nothing new under the sun in how one executes in these positions. 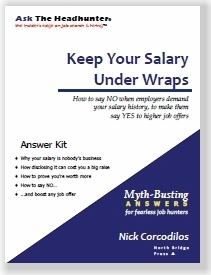 Perhaps the higher level accounting positions might be an opportunity for using Nick’s technique. @Aaron: The phenomenon is simple and I’ve observed it for decades. People want to do what is easiest, even if it doesn’t work. I’ve stood in front of top managers, very smart people, and listened to them applaud my suggestions, heard them exclaim that “it’s so true.” The next day, they’re counting the number of online apps they’ve done and congratulating themselves. Every day, they are bombarded with news, media and marketing about all the jobs they need to be applying for. It keeps them occupied. It’s an example of the Puritan Work Ethic gone wrong. @Nick, Perhaps you could post a case study (and I mean a real story with critique) about how a person did go out and network? Something that shows what worked and what did not work for them? And could the case study include the industry, type of position, where the person was in their career, etc? I didn’t say it was ideal. I said it works. Please see my comment above to Aaron. Ideal to most people means easy. My approach is not easy at all. But then again, neither is that great job most people want. They just don’t want to do the hard work that’s really required to get it. Yep. My contention is, that’s why those people are out looking for new jobs. They didn’t find ways to contribute to the bottom line at their old jobs. News flash: Jobs are not there for the sake of giving people salaries or wages. They exist to produce profit for employers. When workers don’t think about optimizing a job, they lose. They get fired or downsized because their employer isn’t doing well. The success of every business depends on each of the people who do the work finding better ways to work more profitably. Otherwise, why should anyone hire anyone else? The very sad misconception that is strangling our job market is that job seekers believe profitability is the employer’s problem, not theirs. It’s a fatal mistake. I’ve given very serious consideration to removing all references to “Vietnam Era Veteran” “American Legion” etc from my resume, as it definitely dates me. Based on an experience, I’d elaborate on Nick’s 1st point, and particularly emphasize the importance of the related preliminary legwork. In one of my job hunting tours, A friend in my network, who not only knew me, but knew my work, offered to run interference with a good prospect, who he lidewise knew well. He asked me to send him his resume which I did and he in turn relayed it to his contact, which sounds like a good deal. Which wasn’t really & it was my fault for falling prey to assumptions…a) that generally because he knew the decision maker it was simply a good connection, and b) he paved the way with a personal endorsement..which he did. Per Nick’s point 1, what should have been set up was a phone call so I could pave my own way…and to be more specific, paving the way means setting the right expectations, or correctly positioning my value add. My strong hand in those days and the card I wanted to play was as a QA Manager. and my friend when passing along the resume positioned me as a Development Manager. I could do that, but realistically it wasn’t my strong hand & wasn’t competitive with die-hard Development Managers. I was dumbfounded that he’d do that because he knew me as a QA Manager. A phone call by me to the destination manager, facilitated by my friend would have been so much better than a resume hand-off, no matter how strong the connection between my friend and the hiring manager. 2nd, don’t make assumptions. Control your paper. If & when he delivered the resume, I should not have assumed what he’s say, we should have gotten on the same page as to how to position me when he delivered my resume, which I would reinforce with the phone call. The opportunity was there. If done right, that destination manager would have perceived the resume as about someone referred by a trusted connection. Once a die was cast…you can’t back pedal. You can’t say “oh he was mistaken…etc. too messy. People do want to help…but you have to help them help you. I am a good-looking 40 year old male, I work for myself,and I feel too old for a regular ft job. Every time I go into an office to speak about any current or potential short term gig, I swear, everyone is under 35 and female (and they aren’t HR!). I know this is an awful thought, but , in general, I am shocked to see a man in an office with a job– if he isn’t the CEO. My recent experience reminds me of this company. 27 young, attractive women and 4 male senior executives. I count myself to be lucky, in that I can speak to numerous current projects, clients, etc. It has been around a year of being freelance, so if they are seeing me as a leper because I am self-employed, I don’t even think or feel about it much at the time. I am busy showing them how I can do their farmed-out work well and on the cheap. This, along with coffees and beers with people I meet along the way is how I get by. I like coffee, beer, and talking shop. You have made an excellent argument for why men should support equal pay for equal work. You are seeing so many young women with non-executive office jobs because companies can pay young women less than young men, and less than older men and older women. Once equal pay for equal work is truly the (enforceable) law of the land, we can truly compete on merit only, not just on who will debase themselves for the lowest wages possible and no benefits. Also, women are earning college degrees at a higher rate than men, most likely because women need those degrees to even get a chance, while men are given the benefit of doubt with or without a degree or 2. To Nick’s points outlined above, I would add phone screenings, which in my opinion, are even more crazier than sending out paper resumes. In the past, I have had a good number of responses to my resumes. However, when I got contacted by phone by a manager or recruiter, I got phone-slammed, hung up, or try to answer 50 questions spouted quickly one after another without pause. Why? I am hearing impaired and I despise phone screenings. I prefer to contact or network with people in person because it saves me time. Networking is much more effective than online application and phone calls. You could be right. It does show the Glass ceiling in its worst/most farcical caricature. If the extreme situation that I shared were replicated across the economy,90% women may be employed at lower levels/salaries,and, unless they are executives, 90 percent of men aren’t even in the picture (they starve?? haha). I posted this as a thought experiment, so, rather than overly polarizing based on gender, I think it is reasonable to state that the leverage that ALL workers have right now is so pretty low. The combination of inefficient matching between worker skills and jobs (lousy HR and poor corporate planning from up top) and cutthroat competition for limited opportunities in an anemic economy is behind much of this. Think about it, the labor shortage during WWII brought Rosie the Riveter, perhaps the most salient embodiment of gender fairness, into reality. Employers not doing well isn’t usually the fault of the workers. More often than not, it’s because of the decisions made by management. @Carl and @EEDR: I, too, find that being older and female is a liability. I don’t understand the bias so many employers have against older workers. We’re not stupid, we can learn, and we know how to work hard and work smart. 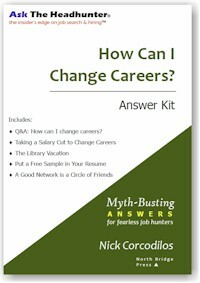 I have learned that blanketing the universe with my résumé is not the way to go about hunting for a job. Researching employers, talking shop with those who work where I think I might want to work, and paying attention to workplace culture and fit are more important. Yes, I need a full time job, but I’ve been on the receiving end of disrespect and indifference even when I’ve had a contact call the hiring manager and introduce me or tell him about me that I am starting to believe that the so-called new jobs or job vacancies are myths. If there are vacancies, employers do not seem to have any intent to fill them, and apparently they are not thinking that any of their current employees will ever retire, get promoted, or quit. They must think that magical elves and faeries do the work, and that somehow the work will get done even with understaffing. To those who make hiring managers do the work and to those who don’t rely on ATSes, keyword searches, and other arbitrary and capricious factors such as high school or college graduation date, thank you. I wish there were more of you out there. I’m sorry, but to expect every single unemployed person to “know the right person” to get a job just seems insane to me and not realistic at all. I know plenty of people from my now-defunct career but not one of them is the golden goose in charge of hiring (might as well just play the damned lottery, because it’s based on luck). I remember visiting my mother’s native Macedonia, where I observed this phenomenon, i.e., to get anything at all you had to “know someone.” That America is now no better than the aforementioned third world nation…well, that’s seriously screwed up. The stark reality is that most jobs are filled through people the manager and applicant know. Why? Because it’s smart to hire a known entity. Odds of success are higher and risk is lower. I think what you’re complaining about is that it’s a lot of work to “get to know the right person.” And it is. And it should be. It’s as hard as the job you want. So do the work up front. Start a chain of legitimate contacts, find and meet the people who need to fill the jobs. Become one of the insiders. The insiders are not bad, or unfair, or “privileged” — unless we say it’s a privilege to be trusted by someone. As for luck, luck has nothing to do with what I’m talking about. I think your version of “knowing the right person” means standing on a corner waiting for the boss at the company where you want to work – to come by and offer you a job. My version means doing the hard work to earn credible contacts and referrals. Because, why would a manager hire a “lucky” unknown rather than someone known? News flash: Business is built on trust. Not on random selection where “everyone gets the same chance.” The people who do the work and make the contacts are the ones most worth hiring. They’re the ones who go to the trouble to show they’re trustworthy. Few unemployed people “know the right person.” But they’d better start finding and getting to know them if they want to get employed. Or, send out a hundred resumes – THAT is playing the lottery. Just how well does THAT work for anyone you know? 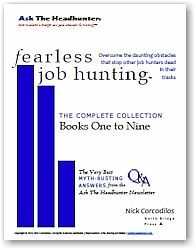 I agree with Nick that it is better to research companies and network into the ones that one wants to work for rather than sending off an undirected cloud of resumes. And I’m a professional resume writer so I may be presumed to be somewhat biased in what follows. That said, however, two points need to be made. 1)In any discussion of resume effectiveness it is necessary to distinguish between two classes of resumes, the average resume and the accomplishment focused resume. 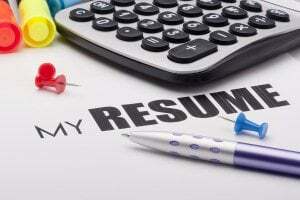 Any HR department can tell you that about 90 to 95% of the resumes they receive are average resumes: that is, a resume that gives subject name, contact information, educational details, job list and an outline of responsibilities carried in each job. These resumes have the 95% failure rate. It is the accomplishment focused resumes, making up 5% of the total that generate 95% of the interview calls. By focusing on the subject’s relevant accomplishments and quantifying them wherever possible to demonstrate their impact on the employer’s business, the accomplishment focused resume shows that its subject can be a bottom line gain to his or her chosen employer. 2) There are some situations where effective networking is not practical in the time available for those who don’t know how to do it. a) suddenly finding oneself unemployed without a solid network of contacts. At least a substantial minority of workers do not make a point of building networks while working. b) moving to a new city with no local contacts. @D Marie I understand what you are saying and can tell you myself doing business around the world I know what you are getting at in terms of how contacts work. In my view, you are not wrong. I am very well-connected internationally and do not need a job. I can tell you in my experience there is not one contact I have ever made who is going to trust me unless they have personally known me for years and worked with me (and even then that may mean nothing) and/or unless they are being compensated in one way or another. I have never known anyone who trusts anyone or is considered trustworthy because they name dropped or had someone call someone or whatever new form of contact one makes. In my opinion that is just not how it works. I know (and have known) many people (offline and online) for years and even been a contact for them, but when push came to shove and I needed a referral or contact they either could not be bothered (Heavens forbid) would not extend themselves because they didn’t know me well enough or long enough. It HAS happened more than once. One great example, when I was obtaining a concealed weapons permit a neighbor whose father ran a major auto dealership that my family patronized for three generations said he would be one of my personal references of course no problem. Yet, when the police department contacted him he had the nerve to do an about face and tell them “Well, I really don’t know him well enough to be a reference for him!” I nearly died laughing when the department told me and not surprising we severed our patronage of his family’s dealership, and I never spoke to him again. My point is simply either in a personal reference situation or career situation THAT is reality. No matter what or who the contact it is never a simple matter and matter of fact none of this job hunting routine is as simple as some make it out to be. There is far more to each situation so just making these so-called contacts and to keep pushing contacts and an offer results once you show that one person what you are about and how you are going to help them is just not the case or the path to success 100% of the time nor do I think it is supposed to be either. I would say it is more a learning experience. It is just far more complicated. It is easy to give advice it is another to be on the end of one trying to implement it to make it work. I’ve been sending out that letter, the short to the point one for almost a year identifying what I can do for a firm. I’ve had 5 interviews. The last company, a hospitality consulting firm, tried to hook me into the Group interview (with other candidates) which I did my very best to turn down graciously. The dog and pony show simply doesn’t net anything worthwhile for candidate or company. The response from the Ops Mgr. was a curt, frustrated, “Well I just don’t have time to meet with one interviewee before you’ve been through the group process.” This, despite the pitch to show him what I will do for the role and their bottom line. I follow job boards and in 1.5 years I’ve seen many of the same jobs get filled and then reposted within 3 to 6 months. I used to reconnect with the firm (to no avail) but now just laugh. Turnover is rampant and I find it amusing that the very person who could do the job and take it to a new level is not of interest to the firm. They don’t seem to give a rats patoot about PROFIT. I know you’re frustrated. 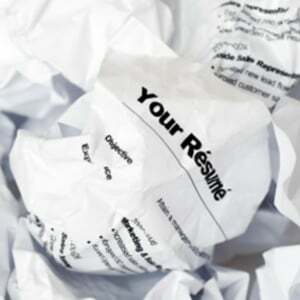 You’ve figured out a big part of the problem – resumes don’t work because employers don’t really consider them. They “process” them and make the wrong hires. @Carl: There is definitely a “pink ceiling” at a lot of firms, above which a male (especially a Vietnam Era veteran) simply does not qualify. @Sara: It sounds as if the HR/OPS Manager has watched “The Apprentice” one to many times, and feels that if he treats people like The Donald treats people, some of Mr. Trumps money will magically find it’s way into his pocket. @Nick: I’m working on getting my “resume” down to a business card. Mr. or Ms. Hiring Manager: You either need these skills or you do not. Either way, I’m good. @L.T. : That reminds me of this Tom Waits song, which includes every sales pitch ever invented. I like squeezing it all onto a card.